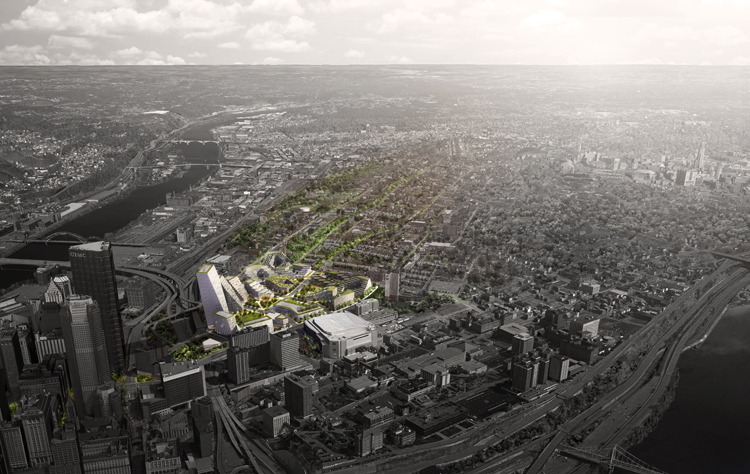 Danish architecture firm Bjarke Ingels Group (BIG) and their partners have unveiled their long-awaited master plan for 28 acres in the Hill District, which will include 1,200 housing units, 1 million square feet of commercial space and more than twice the green space of the original plan. 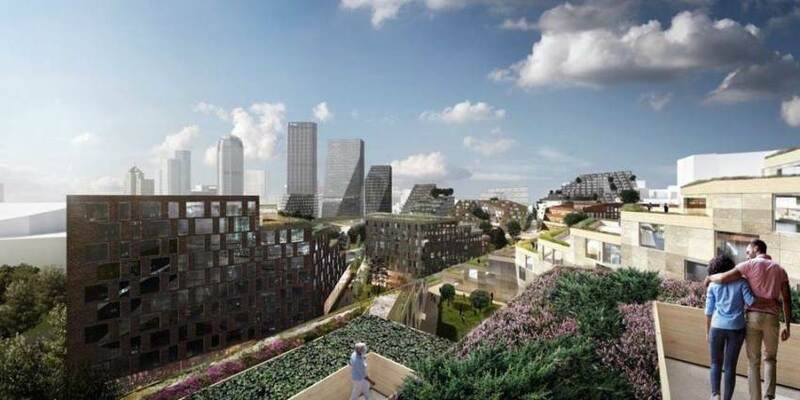 Eight new buildings are planned for the housing units, all providing views of the city. Construction of the housing—20 percent to be reserved as affordable housing—is slated to begin in late 2016 if the plans are approved. 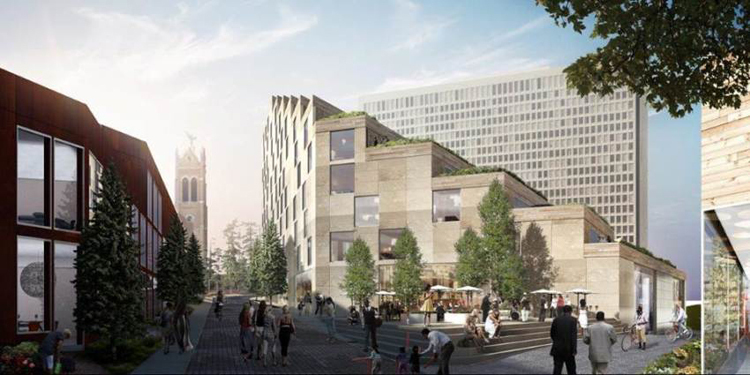 The plan is bold and innovative, but sensitive to the community’s needs as well, seeking to physically reconnect the Hill District neighborhood with the rest of the urban core, says Kai-Uwe Bergmann, BIG Partner, who presented the plan to the community this week. “For 60 years this area has been mostly asphalt,” Bergmann says, “and we want to stitch it back together.” He adds that he knows of no other major American city that has nearly 30 acres of land adjacent to its downtown so ripe for development. 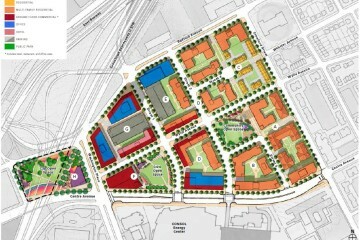 An aerial view of the proposed plan. Courtesy Bjarke Ingels Group. 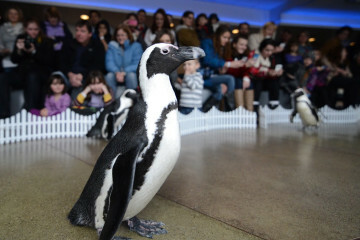 The Penguins and Pittsburgh Arena Real Estate Development, which are overseeing the commercial phase of the development and McCormack Baron Salazar, developer of the housing phase, hired BIG to design the residences and public spaces at the site. 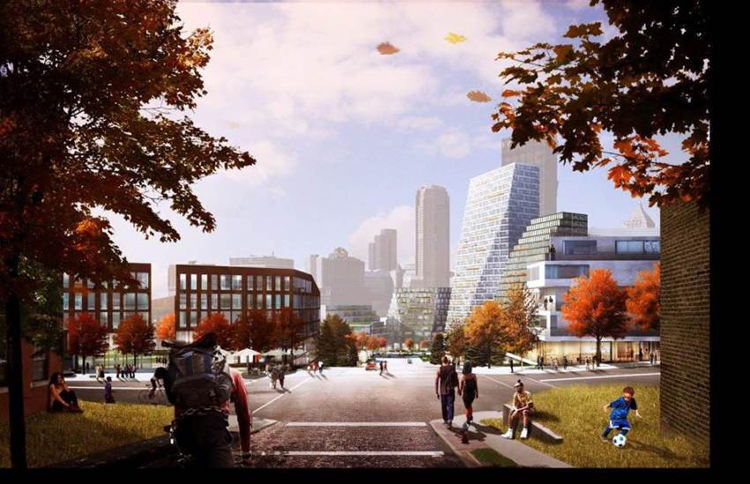 Using the area’s existing topography, the plan’s design connects the site to Downtown, Uptown and the rest of the Hill District, with a series of pedestrian-friendly walking paths, park spaces, and a plaza. This plan would fix that problem, with all of the walking areas adjusted to no greater than a 5 percent slope, Bergmann says, using zig-zagged walkways. The $500 million project calls for a hotel, retail shops and office space, and includes underground parking. Washington Place reimagined as a pedestrian plaza. 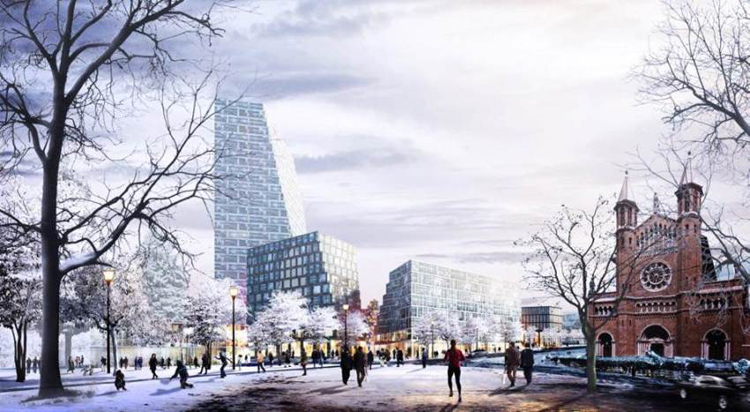 Courtesy Bjarke Ingels Group. The public spaces were designed by West 8, an urban landscape architecture firm with offices in Rotterdam, New York and Belgium.